Chef and restaurateur Jason Atherton has revealed plans for a new 16 cover restaurant in Mayfair. H.O.M.E, which is a working title, will sit next to Atherton’s flagship restaurant Pollen Street Social. The site is currently being rented out by Atherton’s company to pop up ventures, but will soon be revamped and turned into “his Araki”, which suggests huge ambitions. Atherton said it will be a “purely creative outlet” with a set menu. Food could well be sushi, prices will almost certainly be high. The space is small, so covers will be few. Elsewhere in Atherton’s now prolific restaurant empire, Pollen Street Social is to undergo an extensive refurbishment in 2019. The restaurateur said he will “probably spend another million quid on it.” The concept won’t change. Atherton also talked about finding a new location for his Japanese restaurant Sosharu, which Harden’s reported back in August, but didn’t say much about the closure of Temple & Sons, which never wowed diners. Get 3 courses and a glass of wine for £19.50 at Linnea! 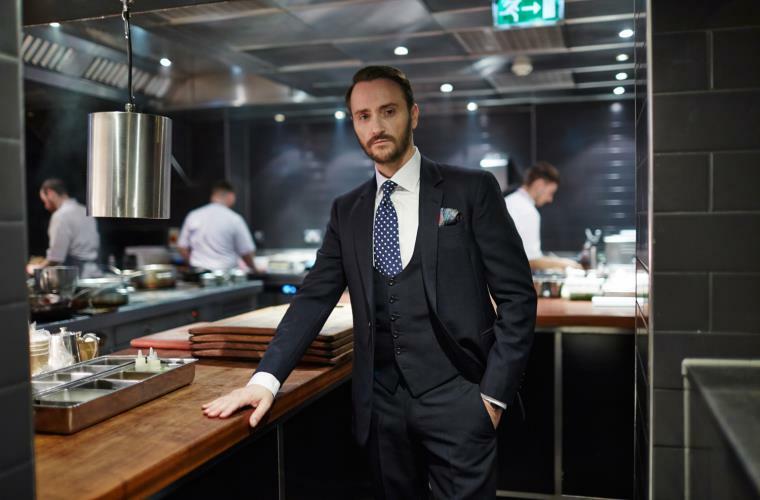 News Jason Atherton, Mayfair, Pollen Street Social, The Araki. permalink.